Spam musubi is one of those dishes that once in a while I simply crave. 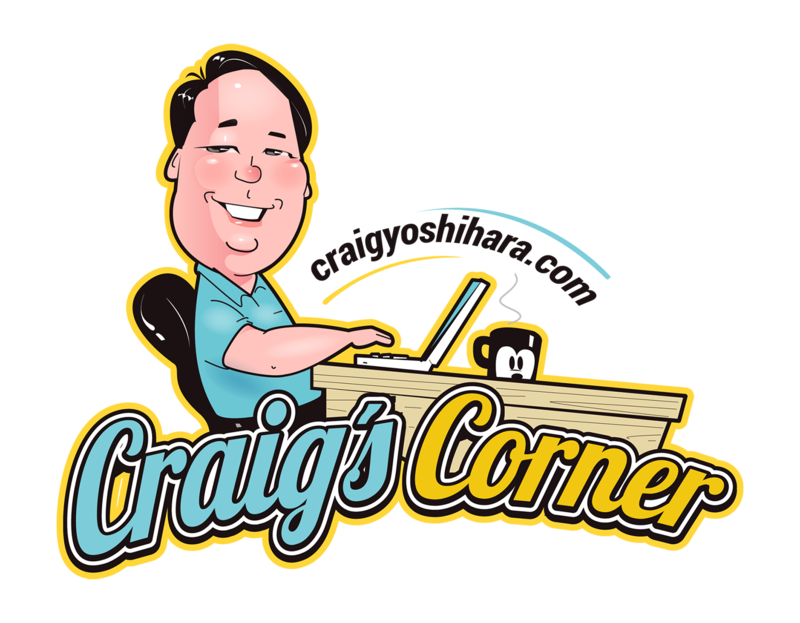 If you’ve been to our home for our holiday open house or to one of our Bible studies, I’ve probably made it for you. If you haven’t, its all the more reason to come! 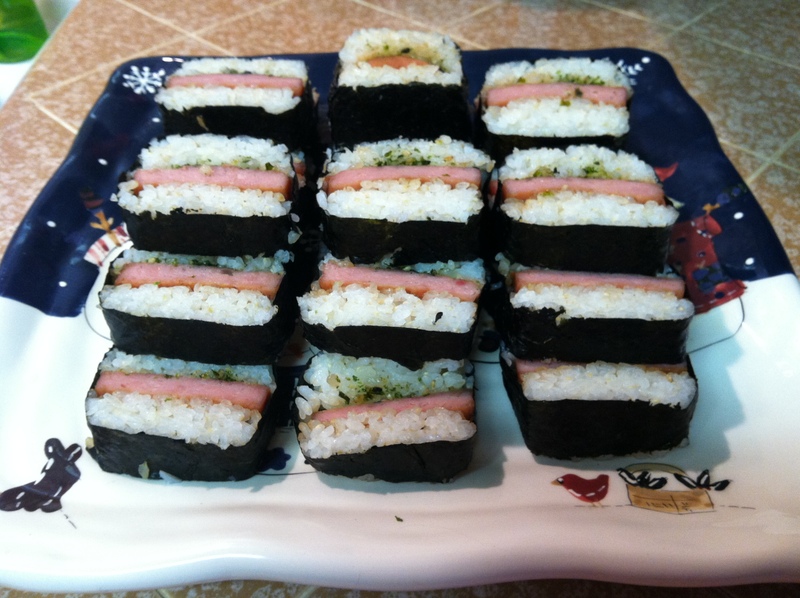 Spam musubi is a great, easy-to-make appetizer for any church potluck, family get-together, holiday gathering, or for friends coming over. It is definitely a savory treat with a little mix of sweet in the sauce that coats the Spam. And it has plenty of umami! It only has six ingredients and other than cooking the rice probably takes about 30 minutes to make – tops! What it looks like once assembled and cut! 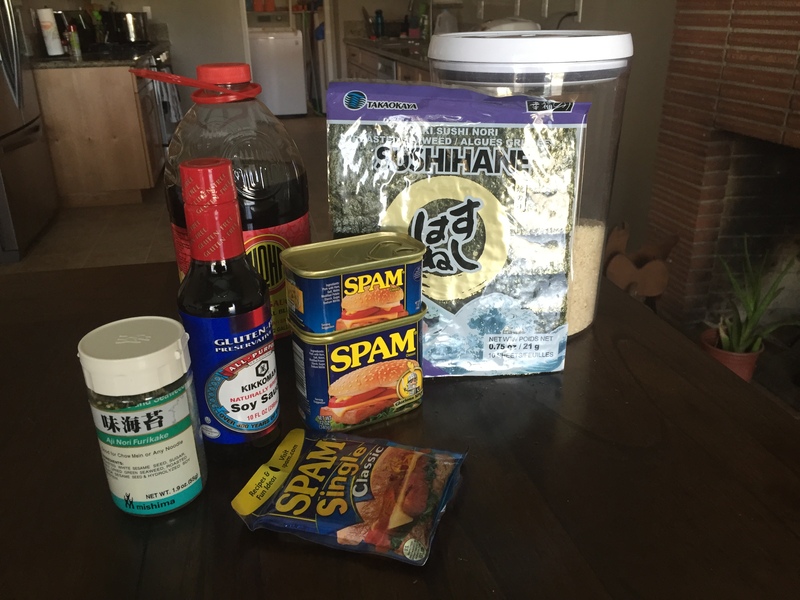 The recipe is super easy and you only need one piece of equipment – a Spam musubi press which you can order online through Amazon or find at your local Japanese store. Make sure it’s non-stick! Cook the rice – pretty simple. For the 7oz can I use about 3 cups of rice as indicated on our rice cooker (I believe it’s about 1 1/2 cups if you’re not using a Japanese rice cooker). Now some people like to simply drop a mound of rice and slap the Spam on top. But to me there’s something magical about the way the rice sandwiches the Spam and with the furikake in the middle, it makes the flavors more subtle which only enhances the overall flavor of the bite. Hopefully your friends and family will enjoy this dish as much as mine do! I would love your feedback and how you might make it differently.